Speaking of Russia (in my last post), it was interesting to see Jim Rogers view on Russia in this interview on Business Insider. Jim Rogers has been a long time staple of the financial news channels, and he is the first one I have heard state an alternative view of Russian Relations. It’s [The recent drop in Oil Prices] a fundamental positive for anybody who uses oil, who uses energy. It’s not a positive for places like Canada, Russia, or Australia. It seems to me that this is a bit of an artificial move. The Saudis, from what I can gather, are dumping oil because the US has told them to in order to put pressure on Russia and Iran. shows Jim Rogers analysis of the oil movement does not seem too far fetched. 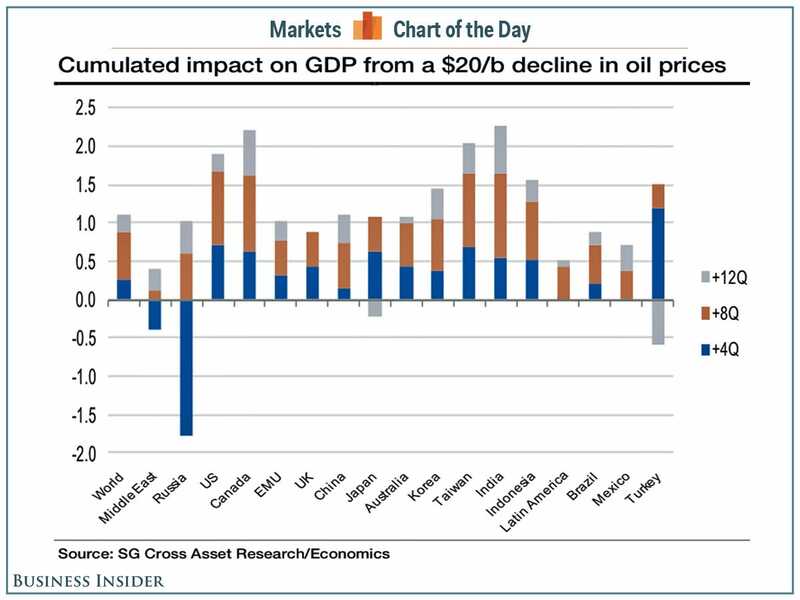 Conventional Market wisdom would have you think oil prices should be strong given worldwide economic strength – so maybe something else is going on here to put the squeeze on Russia. It will be interesting to see who wins in the battle between sanctions against Russia and the the worldwide military industrialists. It looks like France will be first up to face this quandary, as they have two warships built and paid for by the Russians that are scheduled for delivery but being held up due to political conflicts. The ship was nearly complete when World War I broke out, and British Admiralty fears of a German–Ottoman alliance led to her seizure for use by the Royal Navy (together with another Ottoman battleship which was being constructed in Britain). This act was a significant contributor to the decision of the Ottoman government to join the Central Powers, as the payments for both ships were complete, and distrust of Britain increased. Germany′s gift of the two modern warships had an enormous positive impact on the Turkish population. At the outbreak of the war, Churchill had caused outrage when he “requisitioned” two almost completed Turkish battleships in British shipyards, the Sultan Osman I and the Reshadieh, which had been financed by public subscription at a cost of £6,000,000. Turkey was offered compensation of £1,000 per day for so long as the war might last, provided she remained neutral. (These ships were commissioned into the Royal Navy as HMS Agincourt and HMS Erin respectively.) The Turks had been neutral, though the navy had been pro-British (having purchased 40 warships from British shipyards) while the army was in favour of Germany, so the two incidents helped resolve the deadlock and the Ottoman Empire would join the Central Powers. So it will be interesting to see how this French thing plays out. If they mess with the Russians and further sour the West’s relations with Russia, it seems like there would be plenty of other foreign powers happy to gain favor with Russia and provide warships. Granted these Russian ships are only helicopter carriers and not battleships, but the historical similarities are interesting. Over the last few years I have had many discussions with friends and co-workers regarding what happened to Obama: Why did his foreign and terrorism policy morph from candidate Obama’s anti-war / Nobel peace prize vision to the continuation of the Bush foreign policy? My question has been was Obama a liar, did he change, or is he not in control? The Boston Globe just recently published an interview with the author of a book that I think best explains this. The book, National Security and the Double Government, claims this shadow goveernment rose during the Truman Administration’s attempt to deal with the growing national security infrastructure.